We've Got A Few Updates for Ewe! A Little Update For Ewe! Thank you so much for celebrating our 14th anniversary with us last week at the shop! We truly appreciate our customers! We couldn't have made it to our 14th anniversary without you. 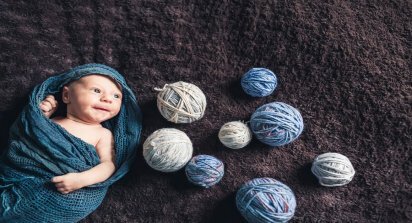 We look forward to many more years of serving our wonderful knitting and crocheting community! The Baby Room Is In Full Swing! Don't forget to drop by our Baby Room at A Piece Of Ewe! Donate a pack of diapers, a pack of wipes, or $15 and you'll receive a discount up to 25% off your next purchase. It's a win-win in our book. Are you looking to let everyone know what you want for Christmas? Look no further! 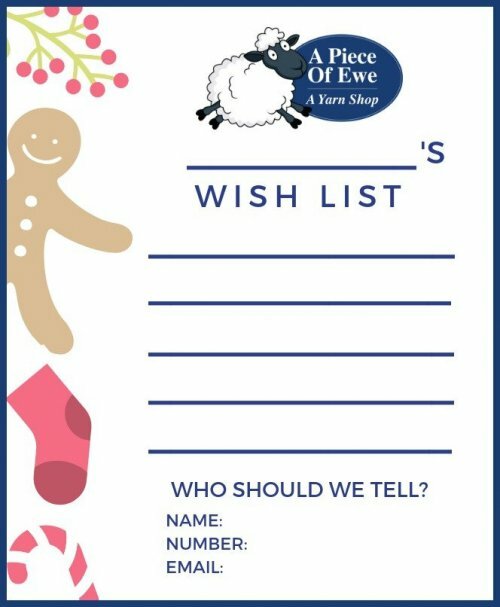 We've created a wishlist for you to write down some items you want from A Piece Of Ewe. You can write who you'd like us to contact at the bottom and we'll go ahead and send the hint their way! Send your completed wishlist to info@apieceofewe.com.